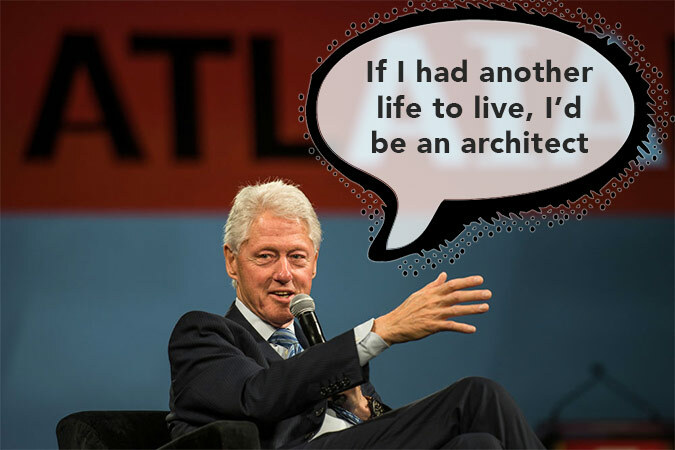 At the 2015 AIA convention in May, former President Bill Clinton gave a keynote address to the unwashed masses. He praised collaboration among designers and other stakeholders, and even admitted that “If I had another life to live, I’d be an architect, especially in this age of climate change.” He is not the only president to speak of a childhood dream of designing buildings. President Obama said in a 2008 campaign speech that he also had aspirations to be an architect as a youngin’. We’re just glad these heads of states didn’t opt for fireman.